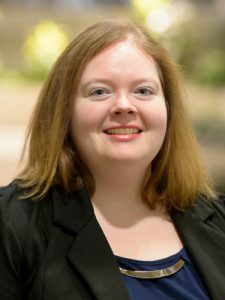 Emily Zvolanek (EVS) has been appointed interim program initiator for the Women in Science and Technology Program (WIST). Zvolanek is a senior geographic information system (GIS) analyst in Argonne’s Environmental Science Division. The WIST program supports the laboratory’s goal of achieving scientific and engineering excellence through a diverse workforce. WIST promotes equity within Argonne and the success of women in scientific and technical positions. Zvolanek’s specialties include cartography, python programming for GIS and the application of geospatial methods to environmental, cultural, visual and socioeconomic analyses. She also is an adjunct instructor for the GIS program at Moraine Valley Community College. She holds a bachelor’s degree in environmental science from Monmouth College and a master’s degree in GIS from the University of Washington. In addition to her technical expertise, Zvolanek is an advocate of diversity and inclusion in science and has significant experience in outreach development. She has been a WIST Steering Committee member since 2013, and has been chair of Introduce a Girl to Engineering Day for four of the past five years. She was the 2017 recipient of the UChicago Argonne, LLC, Board of Governors Pinnacle of Education Award. Zvolanek is replacing Lydia Finney (ALI) who is stepping down as WIST program initiator to focus on new responsibilities as part of her role as university programs manager. The search process for the next program initiator is already underway and is co-chaired by Pam Gruszka (HRS) and Kirsten Laurin-Kovitz (GSS). A call for applicants will be made soon.